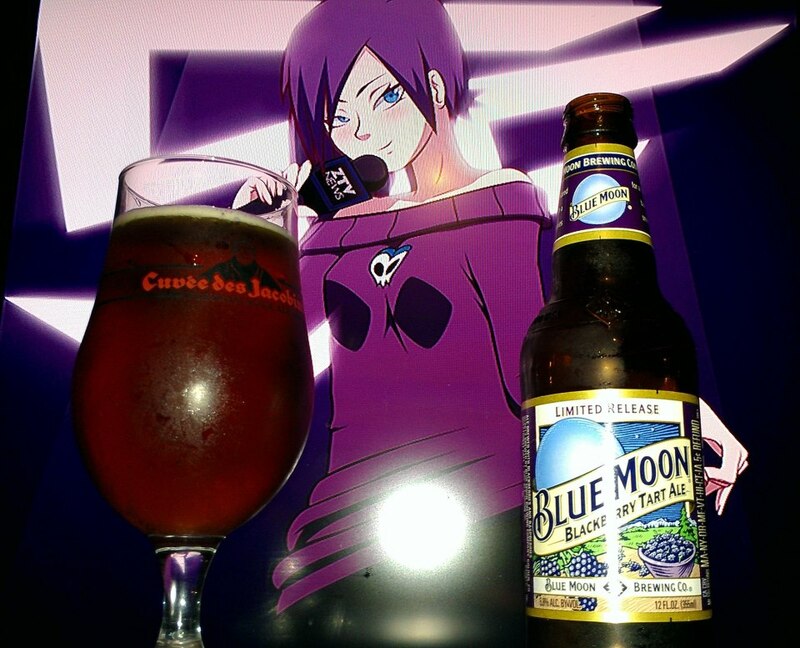 Blue Moon Blackberry Tart Ale by Coors Brewing is a 5.8% ABV Fruit beer made with blackberries and raspberries. Crafted with the help of our fans, this limited release fills your summer days (and glass) with the taste of rich blackberries, a smooth malty sweetness, and a hint of refreshing tartness. Only comes in the Brewmaster’s Seasonal samples. I’ve hear about this beer long ago but never got a chance to try it. Aromas a subtle with hints of blackberries, slight cereal grains, a bit of wheat bread and caramel. The flavors are fruity and sweet. Slight caramel, toffee and mild chocolate notes, blackberries, raspberries, some blue berries, some sweet bread, mild sweet yogurt and blackberry juice flavors. The graininess is actually well covered up allowing more wheat and dark berry flavors to go through. This beer reminds me a lot of the blackberry wheat by Sam Adams. I wanna say that one has a little bit more wheat and bread flavors but this one I found nice in it’s own way. The use of different berries is really brought out. While it is hard to beat Draco from Birrificio Montegioco and Shipyard’s Smashed Blueberry Ale, this one has it’s merits for having very slight complexity that remind me of some notes I have had in those beers. Good stuff to try out for sure.